Big Tex? No, TEX joined Literacy Connexus . 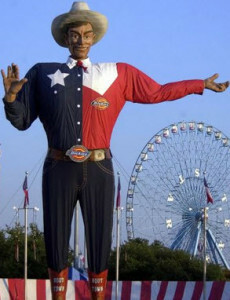 . .
Big Tex is waiting to greet you at the state fair of Texas in Dallas this Friday afternoon. He’s had quite a year since the fire that damaged this friendly landmark. New duds in Fort Worth. A complete makeover for this 61-year-old. A sight to see: Big Tex-welcoming fair goers at the State Fair of Texas. Another TEX has had a busy year, too. 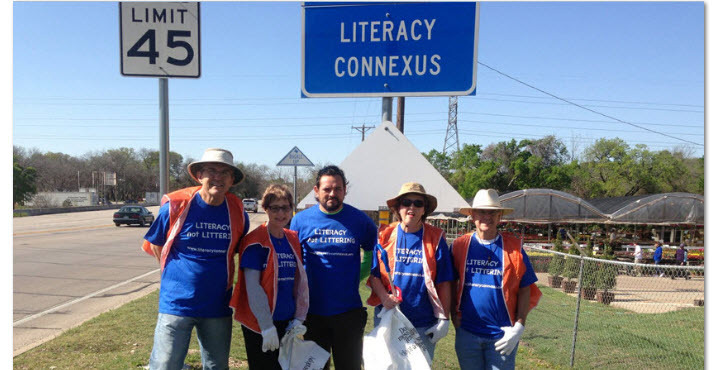 The Literacy Connexus approach to training volunteers to speak English is also known as TEX–Teaching English with Excellence . . .
Posted on September 26, 2013 by Pam Moore	in ESL Ministry, TEX | Comments Off on Big Tex? No, TEX joined Literacy Connexus . 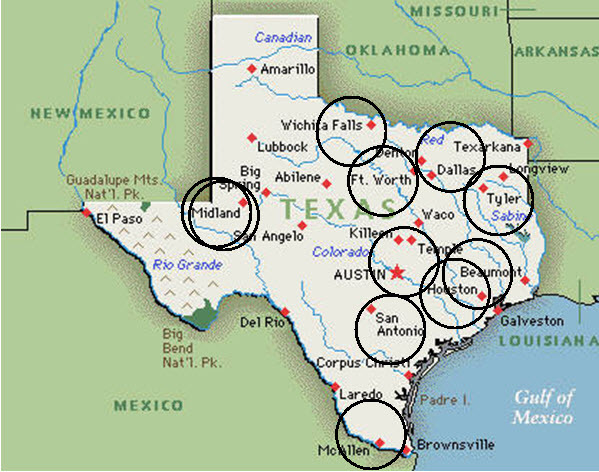 . .
Literacy Connexus is one of 96 ministries in Texas that receives funding through the Mary Hill Davis Offering for Texas Missions. 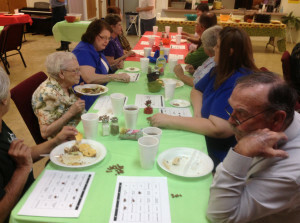 Last night, representatives from a half dozen Baptist churches in the Stephenville area gathered at the Greens Creek Baptist Church to focus attention on this offering. Enjoying dinner and playing “allocation Bingo,” they learned about where money goes when given to the MHD offering. Read more in today’s newsletter! On weeks alternating with the Literacy Connexus newsletter (as in this one) we’ll begin a series of blogs – “web logs” – related to the work of Literacy Connexus. 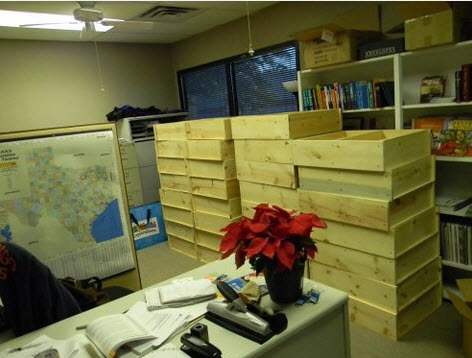 Rather than reflecting on the universe at large or generally random topics, our goal (Lester, Pam, and guest bloggers) will be to draw back the curtain and share something of the movement and progression of our work in literacy in Texas and beyond. Literacy Connexus is in the middle of the late summer training events for ESL (English for Speakers of Other Languages). 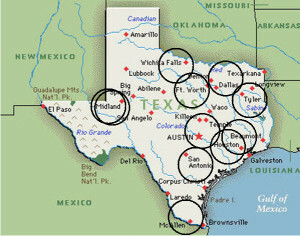 Our website lists workshops from Fort Worth to Houston to San Antonio and more. These workshops are known as TEX (Teaching English with Excellence) trainings. Experienced ESL program leaders give their time to train volunteers to teaching English to beginning students. Robin Feistel developed TEX over several years and is the ESL Coordinator for Literacy Connexus. Sunday, September 8, is International Literacy Day—a very important observance for those in the literacy field. But did you know that Thursday, September 19, is Talk Like a Pirate Day? Special emphasis days and months are not in short supply. They focus brief attention on things that are important – at least to calendar makers. Because you are reading this, I’m guessing that literacy is important to you (at least more than talking like a pirate). 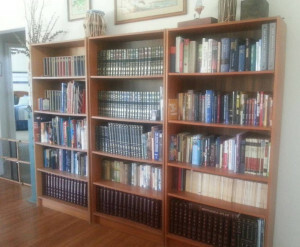 So, gentle reader, as you contemplate International Literacy Day, what’s in your library? Posted on September 4, 2013 by Pam Moore	in ESL Ministry, Literacy Connexus, Literacy Connexus News | Comments Off on Follow our Blog!